Tyree Guyton speaks softly and paints his conservations with the timely quotations of the people he reveres. I met Guyton, the artist and founder behind the Heidelberg Project (HP), relaxing with a friend on folding chairs mid-block on Watson Street in the heart of the Heidelberg Project, on Detroit’s East Side. He greeted me with a smile, and as we chatted he explained how “you have to be the change you want to see in the world” (Gandhi) to make his points about the empowerment of individuals and how we need to take control of our lives by contributing to the revitalization of the communities in which we live. Guyton had just returned from a presentation in Germany about the Heidelberg Project and was now back in what appeared to be his customary mode of outreach, earnestly engaging the scores of curious visitors exploring the colorful mixed media art and sculpture that populates the lots along Watson street. Over 28 years ago, Guyton began his life’s work, creating what has been called a “Ghetto Guggenheim”, salvaging bits of urban refuse and assembling them into the engaging and sometimes provocative works of art that now attract the attention of over 275,000 visitors annually from all over the USA, and form more than 120 nations. Guyton’s art is driven by the urban neglect, despair, and poverty he witnessed as a young boy in the aftermath of the devastating 1967 Detroit riots and fires. Guyton has successfully harnessed the latent potential of individual human creativity for community engagement, empowering people to improve the environment in which they live, and so reclaiming a critical piece of their destiny. Despite receiving an honorary doctorate, international fellowships, numerous awards, and on-going global recognition, the City of Detroit has tried to block his work and has even demolished parts of the project on numerous occasions. Despite these set backs, the HP has persevered as an ad hoc civic and cultural center in a community plagued by a vacuum of municipal leadership and services. The Heidelberg Project has rallied grass roots support from around the city, the country, and the world, hosting festivals, and acting as a beacon of hope and inspiration in a community that has been abandoned by the forces of traditional local government. The polka dots that are prevalent throughout the project are emblematic of the HP’s vision of “a community that can develop and sustain itself from the inside out by embracing its diverse cultures and artistic attributes as the essential building blocks for a fulfilling and economically viable way of life”. 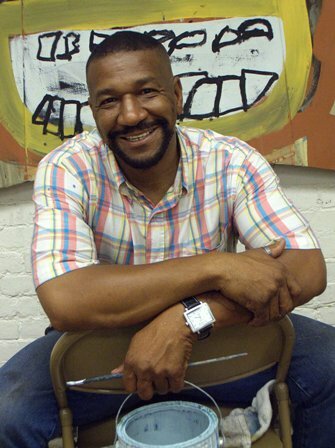 The HP’s programs, Education Program (ACE2), the Emerging Artist Program (EA), and the Young Adults/Associates/Artists of Heidelberg (YAH), form the core of a formal outreach and training curriculum; engaging 3rd graders, emerging artists, and community activists respectively to reach multiple sectors of the community. The HP also offers tours . . . and if your lucky, you’ll find Tyree Guyton, sitting on his folding chair on the side of the street, ready to great you with a smile, a inspirational quote, and a few words of empowerment for how you can help make the world a better place.